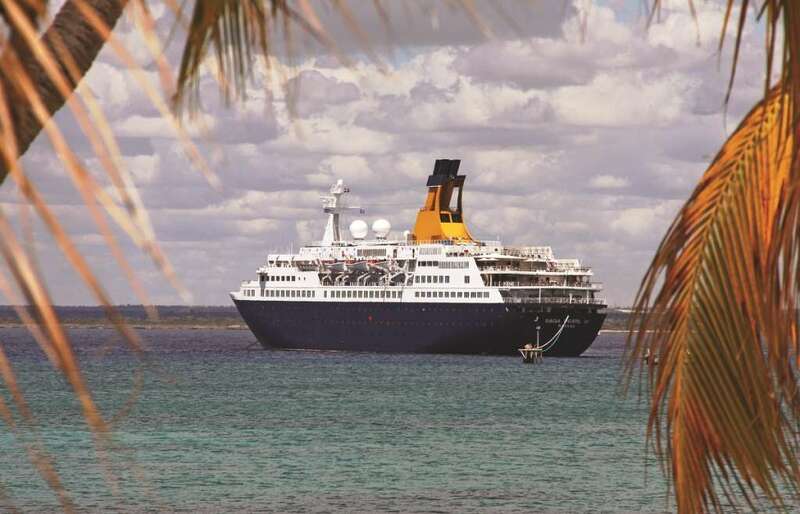 Epic cruise to South Africa will be the ﬁnal voyage for a much-loved favourite that holds many memories. There will be much to celebrate in 2019 with the arrival of Saga Cruises’ ﬁrst new-build ship, Spirit of Discovery. But there will be sadness, too, as the much-loved Saga Pearl II sails off to a new future, or into retirement. She’s been a favourite among more energetic Saga passengers since joining the ﬂeet in 2010, for a short time changing her name to Spirit of Adventure. We have been together for a number of memorable adventures, notably on a visit to Cuba long before the island began welcoming American tourists again. In Havana, I made friends with Ernest Hemingway at El Floridita, one of his favourite bars. A few days later, I bumped into Noel Coward in the garden of Fireﬂ y, at his home in Jamaica. Neither of them had much to say for themselves. On another expedition, to the frozen wastes of Svalbard, my encounters with the locals were a little more distant, for safety’s sake. You don’t mess with polar bears, even when there’s a couple of armed rangers at hand. In the 2010 General Election that brought David Cameron to power, it was the ship’s captain who kept us up to date with the negotiations to form the coalition, and in 2015 high winds prevented us going ashore in Valencia, hundreds of dolphins off Gibraltar. Saga Pearl II was built in 1981, by a shipyard in Hamburg, for the German Hadag Cruise Line who soon sold her to South African company Safmarine. The ship was renamed Arkona in 1985, and later changed again to Astoria. In 2002, Transocean Tours began using the ship mainly for cruises in Germany, Sweden and Norway. During a reﬁt in 2008, serious mechanical problems were discovered and the vessel was laid up for more than a year before being bought by Saga Cruises at auction. 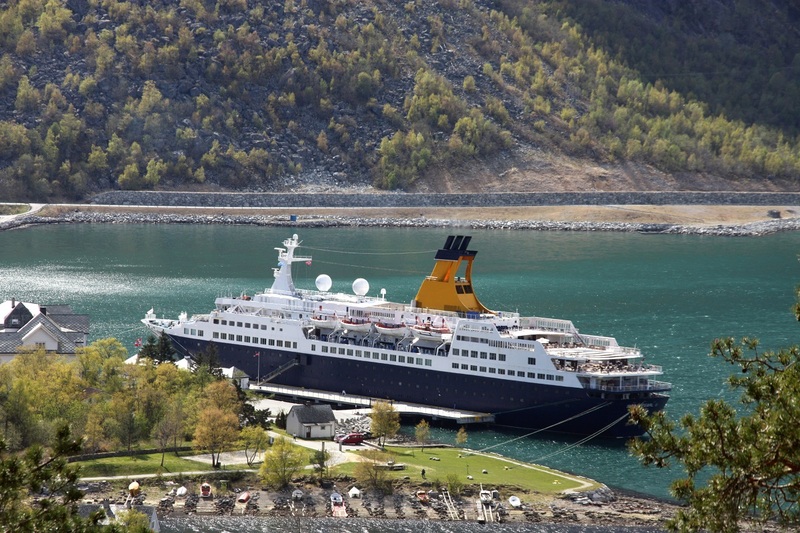 She was taken to Swansea for a £20 million reﬁt and sailed on her ﬁrst cruise as Saga Pearl II in March 2010, travelling to the Norwegian fjords. In May 2012 Saga re-named the ship Quest for Adventure, replacing the smaller Spirit of Adventure, operating Discovery-style adventure cruises. But the brand was dropped in November 2013 and she became Saga Pearl II once more with the retirement of Saga Ruby. Saga Pearl II’s momentous ﬁnal cruise is a 54-night journey that travels to the exotic shores of Africa while celebrating this elegant ship’s nine years of Saga cruises. Also stopping at St Helena and ports in Madeira, the Canary Islands and Spain, this convivial cruise is sure to be an emotional journey that leaves its passengers with lifelong memories. Inspiring experiences to enjoy… observing the colourful birdlife that inhabit the Gambia’s mangroves, watching the sunset over Cape Town’s Table Mountain, going in search of the ‘big ﬁve’ in the Pumba Game Reserve, heading out on a kayak safari to see the turtles of Simangaliso Wetland Park and enjoying a tailor-made event in Cape Town to commemorate Saga Pearl II’s ﬁnal cruise. Day 6 Santa Cruz, Tenerife. Largest of the Canary Islands and dominated by the Mount Teide volcano, Spain’s highest mountain. Day 26 Port Elizabeth, South Africa. Take a mini-safari to the Pumba Game Reserve, or a 4×4 ride through Addo Elephant Park. 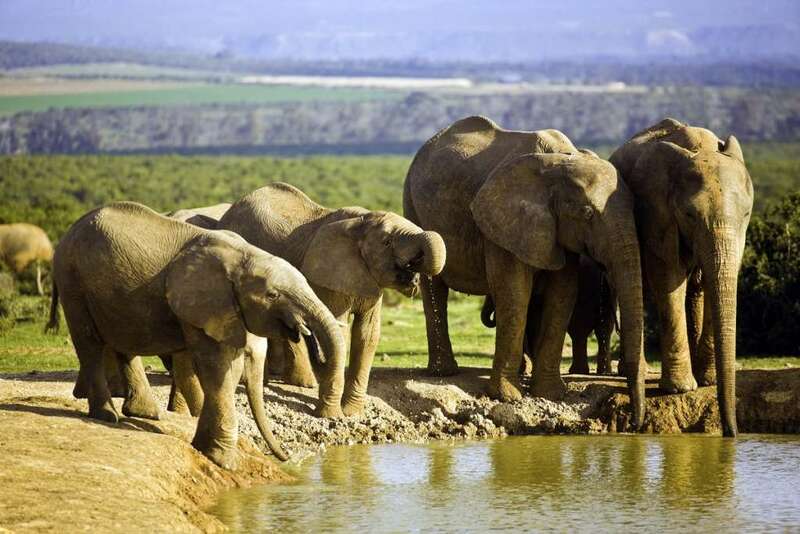 African elephants drinking water at waterhole in Addo Elephant National Park, Eastern Cape, South Africa. Day 31 Durban, South Africa. Third largest city of South Africa, and capital of the KwaZuku-Natal region – with a famous ‘Golden Mile’ of beaches. Day 36 Walvis Bay, Namibia. Former whaling station that is now a bustling ﬁshing town close to some of the biggest sand dunes in the world.